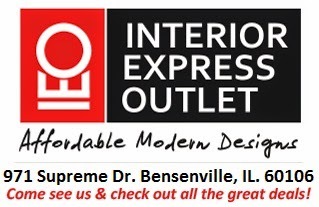 Chicago Furniture | Interior Express Outlet Blog: Chicago Gallery: What is good art? A Chicago gallery thought: what is good art? We often hear "I do not know what art is but I know what I like." If you are discussing art and you don't know what art is, why should anyone know what they like? The art world abounds with those that really know what art is. They have studied art through elementary, high school, at the university, and graduate level. They have read extensively, perhaps written a great number of words, and they really know what art is? In my experience, art may be what students are required to produce in order to earn grades and certificates. Those supervising student production may also be supervised by their superiors. These superiors may be supervised by their superiors who are guided by critics. Critics may have no real credentials, but have some how become the stewards of authenticity. Their opinions can make and break entire careers. As consumers, sometimes at a very high level, we need guides. Thus, the role of the critic. A university art professor once said at a critique, "you know, sometimes less is just less." Also "I have done art like yours, but I don't take it out of the house." Think about it. A housewife asked her husband if her new dress made her look fat. He replied, "no it is your big behind that makes you look fat." We don't get many real critiques such as these. Politics and democratization of higher education have blurred the line between excellence and all else. We often read about master artists and crafters. Usually they are a legend in their own minds. Traditional European style training would demand pass / fail evaluations to become a beginner, much less a master. Art is, after all, a pass / fail endeavor. There is creativity, educated by a discrepant element, and love evident. Or it just isn't art. All being said, we want to see more good art in our Chicago gallery. Link back to this blog post Chicago gallery.